bacon chip cookies with irish whiskey. 2 ingredient peanut butter cup sugar cookies. coconut lime sugar cookies. cranberry white chocolate cream cheese cookies. coconut oil chocolate chip cookies. super easy rugelach cookies. grain free chocolate chip cookies. chai tea sugar cookies. gluten free salted chocolate chip cookies. two bite apple cinnamon oatmeal cookies. vanilla bean shortbread. old fashioned sugar cookies. I can't get enough of the holiday cookie baking right now. It was pies and now it's cookies for me. I find myself dreaming of cookies, craving cookies, eating all the cookies and then needing more. It's an insatiable appetite! They're just so fun to make, the perfect size for individual snacking (or binge eating) and make such great gifts for loved ones. Plus Christmastime is like total cookie baking time! Win. Win. 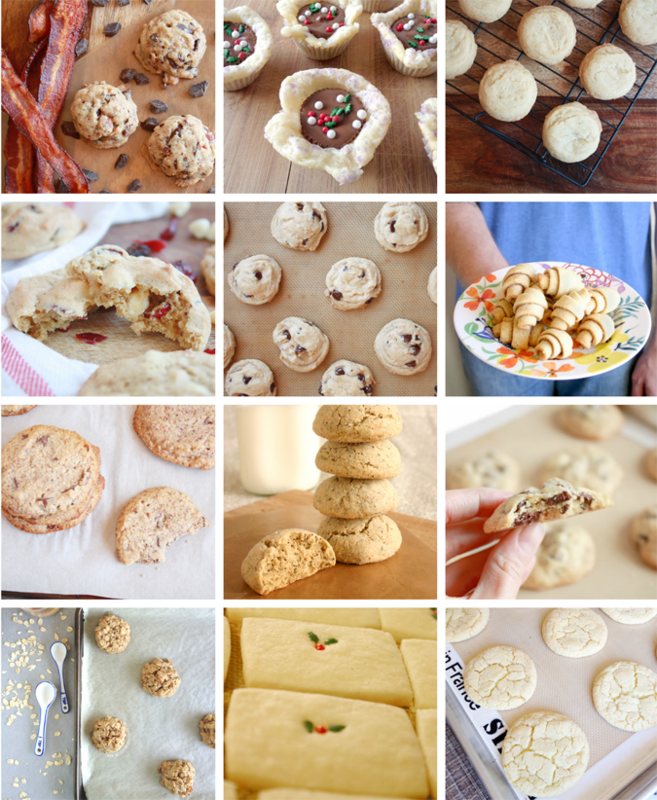 Hope you'll make some cookies this holiday season and try some new recipes while you're at it! You are the Christmas cookie queen!